Time is ticking towards the first Dota Pro Circuit tournament of the season, with Esports staple Dreamhack hosting it in Stockholm. Up for grabs is a share of both $300,000 and 500 DPC points, not to mention the last slot in the Kuala Lumpur Major directly afterwards. 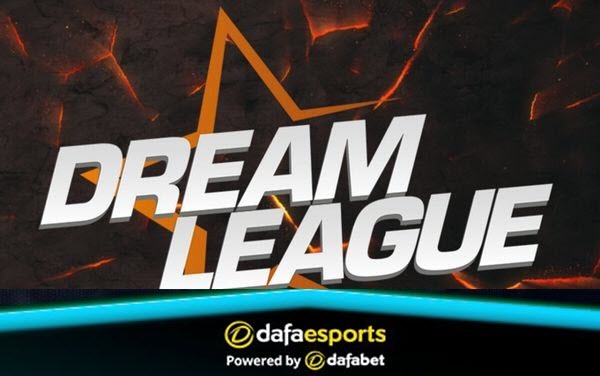 The teams to have qualified are compLexity Gaming (NA), ROOONS (NA), Infamous (SA), Natus Vincere (CIS), Royal Never Give Up (CN), Tigers (SEA), The Final Tribe (EU) and – replacing Team Liquid – Team Lithium (EU). All matches are best-of-three apart from the Grand Final, which is a best-of-five affair. The action starts on Monday. As to be expected this early in the season, all the teams are either new, or have had new additions to their roster in the shake-up after The International. Probably the least-changed team are The Final Tribe, having swapped out their Mid player Pablo for Chessie. Otherwise, the Swedish roster is the same. While they dropped out early in the Major qualifiers, falling to MangoBay, they were able to overcome them in the finals of the Minor qualifiers to take the first spot, also beating fellow competitors Team Lithium on their way. Given how they have had more time to mesh and have always been on the cusp of pushing into the forefront of European Dota, they look like a strong team coming into the tournament. The other EU team, Team Lithium, seem like they may struggle more. While previous success in the Major qualifiers included beating Team Liquid 2-1, they dropped out early in the Minor qualifier, taking 4th place behind both Team Liquid and MangoBay, only being invited here to replace Liquid. Unless they’ve improved since then, their chances seem poor, although given that they have Dendi as a stand-in due to Visa issues, if they are able to play around him, they may enjoy some success. Hailing from North America are compLexity and ROOONS. compLexity narrowly missed out on a spot in the Major and then seemed to come back with a vengeance for the Minor, taking out both ROOONS and TEAM TEAM in short order to secure 1st place. ROOONS never made it to the Main Major qualifier, having to rely on the Minor to secure their spot. While they went down 2-0 to compLexity, they were able to easily beat Team Xolotl, and then earn a well-fought victory against TEAM TEAM to take the 2nd spot. Both teams will need to fight hard to get to 1st place, though compLexity certainly have the edge, given players like EternaLEnVy and Zfreek are on the roster. Region mainstay Na’Vi managed to secure the CIS spot. Their roster does not contain Dendi for the first time since he was picked up by the team eight years ago. Coming into the tournament off a clean qualifier run, they definitely want to prove that they can perform better without their star Mid-laner, and that they can once again fight at the top. With historically-strong players like SoNNeikO on the roster, they have a good shot. South America has sent tournament staple Infamous, and while they had a couple of struggles during the qualifier, they were able to finish it off with a 2-0 victory against Braxstone. They may have a shot at upsetting the more favoured teams in the competition, but given the recent departure of support player Matthew, with Scofield playing as their stand-in, there runs the risk of a lack of teamwork making it difficult. For China, Royal Never Give Up, in their first foray into Dota 2, managed to push past Newbee and Team Serenity, albeit after being forced into the Lower Bracket by the latter, and book their place. While the team is new, most of the players are not, all apart from Setsu having made it to The International. This experience on the world stage can help bring confidence, even with a new roster, and so against teams like ROOONS and Na’Vi, where a lot of members haven’t played with that kind of pressure as much, they may have an advantage. Finally, from SEA are Tigers. Having left the TNC organisation, picking up two new and experienced players in Moonmeander and 1437, their recent qualifier success bodes well for their performance here. And given the subsequent Major’s location in Malaysia, it’s the perfect opportunity to make the region proud. While the money and the DPC points are a good incentive, the slot in the Major is something all these teams will be fighting hard for, as the chance to win that, and almost definitely secure a place at TI9 this early into the season, is certainly a goal worth shooting for. Royal Never Give Up start as favourites at 2.700 with Dafabet. compLexity are next in the betting at 5.210. The Final Tribe (6.410), Tigers (7.290) and Na’Vi (8.190) are all under 10. Then come Team Lithium (12.330) and ROOONS (13.540), with Infamous the outsiders at 15.640.